Change things up with these side-trips from Perth: Fremantle (Western Australian Maritime Museum, Fremantle Markets, & more) and Caversham Wildlife Park (in Whiteman). Dedicate the 5th (Sun) to wine at some of the top wineries in the area. 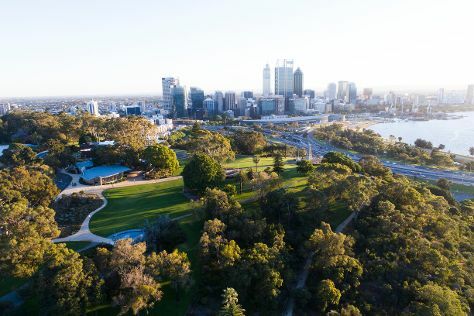 There's much more to do: take in nature's colorful creations at Kings Park & Botanic Garden, steep yourself in history at The Perth Mint, contemplate the waterfront views at Swan River, and get engrossed in the history at The Nostalgia Box Museum. For maps, reviews, where to stay, and more tourist information, refer to the Perth tour itinerary builder website . If you are flying in from Malaysia, the closest major airport is Perth International Airport. In May, plan for daily highs up to 25°C, and evening lows to 11°C. Finish your sightseeing early on the 7th (Tue) to allow enough time to travel back home.